There is something that professional and hobbyist trekkers must know: one of the most important thing is to find the right walking socks. Resistance, comfort, support, ventilation… Our hiking socks for men and women are designed by the Research and Development center team members. No detail is left to chance: friction zones are limited, sensible feet areas are optimized, and specific design techniques help avoid blisters that may be caused by rubbing. Thanks to our hiking socks, make the most of your hiking sessions! 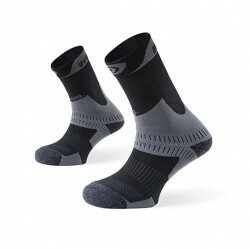 The new TREK range are the only socks in the hiking world using BV SPORT calf compression (BV SPORT patents). Combining comfort and technicity, it's an anatomical socks with soles shaped for the left and right feet with targeted protection area for an optimum efficiency. 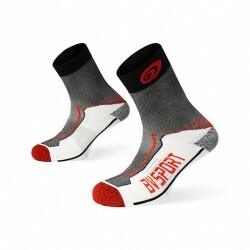 The new TREK range are the only socks in the hiking world using BV SPORT calf compression (BV SPORT patents). Combining comfrot and technicity, it's an anatomical scoks with sales shaped for the left and right feet with targeted protection area for an optimum efficiency.